Read about our wonderful boy, and about the unique giving opportunity in his name through the Johns Hopkins All Children's Foundation. Request a Rainbow Star for a child on treatment for cancer, and learn more about how you can support and participate in this meaningful project. Our daily journal chronicling Benjamin's leukemia diagnosis, his 772 days of treatment, his life, his death, and his unparalleled bravery. Benjamin Gilkey was a bright, empathetic, independent, creative, sweet and spicy nine year old boy. On New Year’s Eve 2014, he was diagnosed with Pre-B Cell Acute Lymphoblastic Leukemia. Day 1 of treatment was January 2, 2015. He endured ten months of frontline treatment, including a hospitalization for toxicity to chemotherapy that caused him to molt like a snake, inside and out. He finally entered the much more low-key “long term maintenance” phase of treatment on October 27, 2015, and we expected to continue maintenance through spring of 2018. But on September 16, 2016, Benjamin relapsed. His leukemia had returned. A month prior to Benjamin’s relapse we discovered that he had a genetic mutation called Constitutional Mismatch Repair Deficiency Syndrome. This meant that his DNA could not repair itself, and it was responsible for Benjamin’s leukemia. It also meant that he was at very high risk for developing multiple cancers during his childhood. Still, we never expected the leukemia to be the one that claimed his life. We began attempting to reinduce remission on September 18, 2016. Reinduction with chemotherapy failed. Next, Benjamin was given a promising new drug called Blinatumomab, intended to target the protein CD19 on his leukemia cells. While the medicine was effective at depleting one population, another population of CD19 negative cells was able to flourish. He was granted compassionate use for an experimental drug called Inotuzumab to try and target the protein CD22 on his cells. It worked to reduce the percentage of leukemia blasts in his blood, but not to achieve remission. Benjamin’s last hope was acceptance into a clinical trial at the National Institutes of Health. He was accepted and given a tentative date to begin the cell collection and manufacturing process. 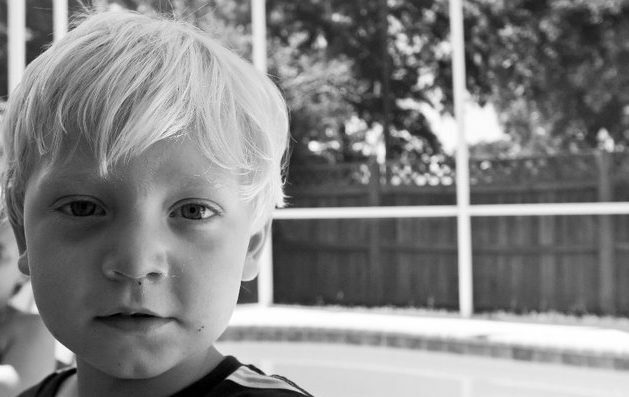 While we awaited that date, Benjamin’s leukemia infiltrated his organs. His spleen and his liver were extremely distended. His oxygen needs increased and his clinical performance declined. Surrounded by music and love, Benjamin died on Saturday, February 11, 2017. The best way that we can honor Benjamin’s unparalleled bravery is to invest money into research to try and ensure that another family in a similar situation finds hope where our hope ended. We also want to say thank you in a huge way to the literally hundreds of friends, family and community members who have lifted us up during this chapter of our lives. We hope that what we have created will accomplish both goals. We are proud, humbled, and so honored to introduce The Benjamin Gilkey Fund for Innovative Pediatric Cancer Research, a member of the Johns Hopkins All Children’s Foundation family. Through Benjamin’s fund, we will be able to support the research of Benjamin’s wonderful oncologist, Dr. Oshrine, and his colleagues. We can create parameters that honor Benjamin’s specific obstacles. And we know that the money we have invested will be housed in the new Research and Education Building, the structure we watched being built outside our window during Benjamin’s final months. If you would like to support our efforts, please click here. Alternatively you can mail a check to the Johns Hopkins All Children’s Foundation (Memo: Benjamin Gilkey), PO Box 3142, St. Petersburg, FL 33731-9954. Please contact the Foundation (727) 767-4199 with any questions. Donations may be made by phone as well. Thank you so much, friends.